Recovery Maine Inc. offers state-licensed, abstinence-based housing at the heart of historic North Berwick, ME called Restoration House. As a newly renovated home, Restoration House has convenient access from all directions and includes full residential amenities including television, free laundry and WiFi. It's located 6 miles away from southern Maine beaches, recreation areas, and walking distance to groceries and dining. With the comfortable environment and great location, residents are able to focus on their recovery. Restoration House is monitored 24 hours by an on-site manager. As Restoration House is a drug and alcohol free campus, random drug testing is performed to ensure compliance with a strict zero-tolerance drug/alcohol policy. 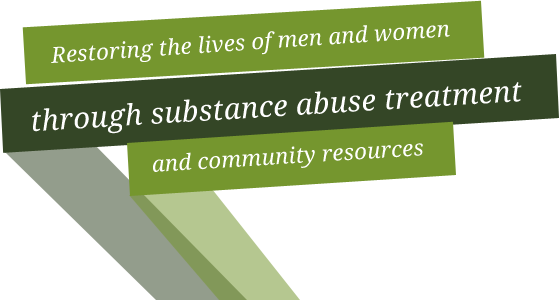 Group and/or individual treatment is available to both men and women looking to make changes regarding their addiction. All treatment options are evidenced based including motivational interviewing, seeking safety, cognitive behavioral, and DSAT. People who struggle with addiction are not the only ones in need of help. Loved ones play an important role in recovery. Often times, affected others aren't sure what to do. This group creates an opportunity for family and friends to come and identify their own triggers as well as that of the loved one fighting the addiction, and educate themselves on ways they can help. There is a fine line between enabling verses helping, which is why it needs to be explored. Recovery Maine, Inc. has State approved clinicians to provide DEEP Completion of Treatment services. Recovery Maine, Inc. has a career counselor who can assist with job-skills training and completing application to companies that are known to hire convicted felon and justice-involved individuals. We can assist to: Develop individualized career plans; Learn job hunting strategies and skills; Develop a resume and interview effectively; Learn to resolve work conflicts; Understand the integration of work and other life roles; Cope with job stress and job loss.